Earnest C. "Earnie" Hight, Jr. 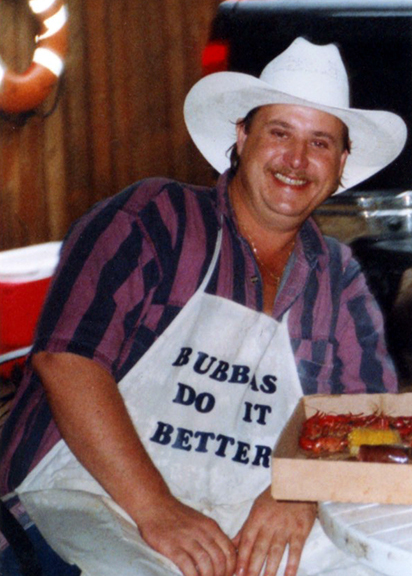 Earnest C. “Earnie” Hight, Jr., 52, of Beaumont, died Saturday, January 12, 2019 at home with his family. He was born on December 20, 1966, in Dallas, to Mickey Robinson and Earnest C. Hight, Sr. Earnest was a devoted husband to his wife, the best father to his kids, and a loving PawPaw to his grandkids. He was an anchor for everyone he met. Earnest loved celebrating Christmas and his family. He loved history and sharing his knowledge with others. He enjoyed fishing, woodworking, and cooking. He always had a great sense of humor and people were always smiling around him. Earnest was previously employed at Basic Energy Services for twenty-five years and was currently the Operations Manager at Rain for Rent in Groves. Survivors include his wife and soulmate, Sheila Wootton Hight; daughter, Trista Nixon; son, Travis Nixon and his wife, Kristin; and son, Austin Hight; granddaughters, Aria Nixon and Roselynn Deaton; mother, Mickey Hight and her partner, Daphne “Fifi” Cravy; stepmom, Nancy Hight; and brother, Greg Hight, and his daughters Codi Nodell, Laura Green, Kira Hight, and Kirsten Hight. He was preceded in death by his father, Earnest “Buddy” Hight, Sr.
Memorial contributions for Earnie may be made to M.D. Anderson Cancer Center, 1515 Holcombe Blvd., Houston, Texas 77030. A celebration of Earnie’s life will be at 12:00 p.m. Saturday, January 26, 2019, at 13595 Chimney Rock Drive, Beaumont, Texas 77713. His final arrangements were handled by Broussard's Mortuary of Beaumont. Travis and family, we are so sorry for your lose of Earnie. Knowing how much you loved and cherished him all we can do is pray that you never lose sight of the blessing of having him as a part of your life. Keep him in your heart and he will always be with you in the good and not so good parts of live. Love you always. We are so very sorry for your loss. We pray that God will give you comfort now and in the days to come. We will be praying for you and your family. Our sincere condolences to all of you. We will always remember all the laughs we had together as well as all the times spent together as a family. May God give y'all Peace & Strenght. Love you all!